Live from New York it’s Saturday Night! 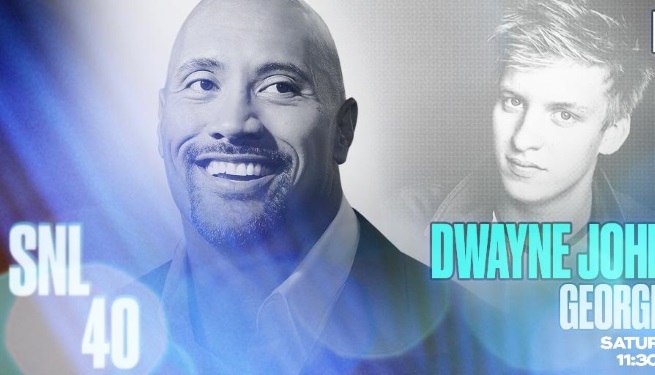 Saturday March 28th Dwayne “The Rock” Johnson will be hosting Saturday Night Live. If that date sounds familiar to you wrestling fans, it should, it is the date of the annual Hall of Fame induction Ceremony. He is doing a ton of publicity for his newest movie opening in theaters on April 3rd, Furious 7. This more than likely knocks him out of making any appearance for the WWE the entire WrestleMania weekend, since it is clear on the other coast in Santa Clara California at the new Levis Stadium. This will be the fourth time he will be hosting the late night slapstick show and his first time since 2009. George Ezra will be making his first appearance as SNL’s musical guest when Johnson hosts. Ezra’s first studio album, Wanted on Voyage, spawned the international hit single “Budapest,” and the singer-songwriter is currently touring in the U.S. and Europe. The Rock also has another movie in theaters soon after Furious 7 which is San Andreas. His second film of 2015 will open on May 29th. Here are the official trailers for both movies.